It is impossible to talk about the future EU-EAEU relations without understanding the prospects of the EU itself. This year may prove to be decisive for Europe and relations between the European Union and its partners in the east, primarily Russia and other countries in the Eurasian Economic Union (EAEU). What will Europe be like when it emerges from an unprecedented migration crisis? Will the EU retain its current shape? Should the EU develop direct relations with the EAEU, a new integration association in Eurasia? What benefits can both sides derive from such relations? These issues have already become a subject of many open and closed debates. Thus, on January 20 the European Policy Center and the government-funded Netherlands Institute of International Relations Clingendael organized political discussions in Brussels. European diplomats, officials from the European Commission, academics, experts, and representatives of business and civil society took part in them. I represented the Russian expert community as the Valdai Club Program Director for Eurasia. Naturally, it is impossible to talk about the future EU-EAEU relations without understanding the prospects of the EU itself. After all, in the final count it was the EU that tried to build an EU-oriented international system in Eurasia. In this “solar system,” the EU was supposed to be the sun, while the status (and the rights) of the rest were to depend on their distance from this center. The times have changed a lot since then. 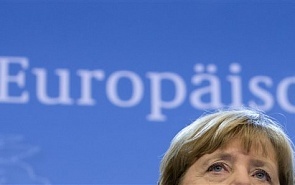 The current crisis is described as the EU’s worst in the past few decades. It is no surprise that President of the European Commission Jean-Claude Juncker, a brilliant European intellectual, wrote in one of his recent articles that the migration crisis posed a direct threat to the unity of the EU’s common market, because the spontaneous introduction of passport control at the borders by some EU countries alone will create delays for these countries’ citizens when crossing borders. This eventually makes jobs in neighboring countries less attractive and the workforce less mobile. The disturbed tranquility of European cities as a result of a massive influx of migrants is not the underlying cause of these changes, although from 2,500 to 3,000 illegals arrive in Europe daily even in relatively quiet winter months. Most of them have no papers and it is absolutely impossible to verify even their names, not to mention their country of origin. The main problem is the growing mutual resentment of citizens and politicians in some EU countries, as well as the reluctance to share responsibility in resolving the issue and to make difficult but essential decisions. First of all, it is necessary to tighten control at the EU external borders, reduce the list of “dangerous countries,” delete from it such states as Morocco that account for many “refugees” and proportionately re-distribute the new arrivals among the EU member countries. They forget that this was far from always the case. Thus, the 1965 “Empty Chair” crisis resulted not in a “bigger Europe” but in rollback and redistribution of power in favor of individual states. At that time President Charles de Gaulle suspended France’s participation in European institutions. As a result, the practice of consensus was considerably broadened to the detriment of Brussels’ power. Eventually, this resulted in the so-called Eurosclerosis, which lasted for nearly 20 years. Europe managed to overcome it only in the mid-1980s, when it adopted the plan to establish a common market. As a result European countries signed the Maastricht Treaty that created the EU and seemed to deepen the integration. However, to adopt the treaty they had to pay a price – include Article 3b, according to which any issue that can be resolved at the national level should not become an EU responsibility. In other words, this article allowed the EU countries to deny Brussels the right to become involved in certain issues. Moreover, experts argue about the influence of the decisions that were made to overcome the Eurozone crisis on the genuine unity of Europe. Therefore, even if European politicians find a way to settle the migration crisis, its long-term impact is most likely to be highly negative for Europe. The crises of the past 15 years have been eroding the live tissue of united Europe from within and reducing the ability of its citizens and political systems to cope with new challenges. It is still unclear whether these events will help Europe take a new look at relations with its major regional partners, among which Russia is number one. The dramatic experience of EU eastern policy in the past two or three years has already started to affect the approaches of European bureaucrats and politicians to this issue. The new Eastern Partnership concept is no longer based on the one-size-fits-all principle but follows a tailored approach for each country. Nor does it contain clear-cut formulas on relations with the “neighbors’ neighbors.” In the European newspeak this term is used to denote countries that border on the states involved in the partnership programs: Azerbaijan, Armenia, Georgia, Belarus, Moldova and Ukraine. This is, of course, a good thing because potentially it will bring Russia-EU relations to a new strategic level and will take them out of the EU’s stuffy changing room, where they were stuck after 1991. Incidentally, this is an additional benefit of the military and diplomatic crisis around Ukraine. Now Russia and Europe can build entirely new relations rather than restore the crippled old system that took shape by the mid-1990s. New relations will be based on common interests and respect for the obvious, albeit previously suppressed differences. For the time being, the EU bluntly rejects the possibility of recognizing the EAEU and establishing contractual relations with it. Its arguments are fairly simple: the EAEU is ostensibly too weak institutionally; its supranational bodies have fairly limited powers; and trade between its member-states is underdeveloped. Comparing the EAEU with the EU – naturally not to the former’s benefit, European politicians forget that the EU has a 57 year-long history of ups and downs whereas the EAEU has just celebrated its first anniversary. Needless to say, all this criticism is largely justified. Eurasian integration is moving forward with many moans and groans and some decisions of its participants, including Russia, result in setbacks. Suffice it to mention unacceptable delays in elaborating a common approach to coordinating Eurasian integration with China’s Silk Road Economic Belt initiative. Despite many joint decisions, the EAEU member-countries have so far failed to even decide on a common approach to the main aspects of this process. These issues primarily include foreign investment support, arbitration, industrial cooperation, transport infrastructure, environmental rules and employment market regulation. However, this does not change the main point – expecting the collapse of the Eurasian project, the EU is in no hurry to recognize this new geostrategic reality simply as a matter of principle. Its officials habitually speak about Russia’s dominance and dictate in the EAEU. This does not prevent them from saying that the EAEU’s weakness is demonstrated by the reluctance of its other member-states to join Russia’s restrictions as regards the United States, its allies, Turkey or Ukraine. Obviously, the EU will not recognize Eurasian integration of its own free will. That said, some experts of the Clingendael Institute speak about the need to develop dialogue with the EAEU on some issues. However, this is clearly not enough. Time has come to stand firm on making foreign trade issues largely an EAEU responsibility. We must work for the EAEU’s recognition by individual EU countries while Brussels is free to make its decisions on its own. What other decisions could invigorate dialogue between Russia, the EAEU and the EU this year? To answer this question it is essential to understand what should be avoided and in what new conditions these relations will develop. Above all, it is necessary to avoid the return to the diplomatic and red tape routine that was typical of the past 15 years. There is no point in pretending that we can easily restore dialogue on some specific issues, such as energy supplies, visas, possibly cultural exchanges and education, and cross-border cooperation. However, the old approach to these issues will not work either. The negative experience of the zero sum game that characterized all the numerous Russia-EU dialogues and partnerships until 2014 is bound to reproduce itself. This is why we must first lay a new foundation for these relations and openly discuss what we want from each other. We must definitely broaden our horizons on European security. Events of the past few years have proved that the issues of war and peace in Europe are too important to let Europeans deal with them single-handed. China, for one, is already a very keen player in Eurasia, of which Europe is part. Its trade and economic ties with the EU countries and economic presence in the EAEU states are growing. It is high time to ponder over new negotiating formats. We could speak about a new SCO-OSCE discussion platform in the future. Summing up these observations and ideas, it is important to say that Europe, Russia and our EAEU allies have entered a difficult and important stage in their development. The future of our common Eurasian home from Shanghai to Lisbon will depend on how they emerge from 2016. As for the central issue – direct contacts between the two unions – there is no rush. Eventually, if the leaders of the EAEU countries continue relegating their powers to supra-national bodies, Brussels will simply have no choice but to start cooperating with the Union. At this point, the young Eurasian bureaucracy will face a new and even more serious challenge: the need to deal with their seasoned and sophisticated EU colleagues. Let’s hope, however, that we will not need to worry about this until 2017.